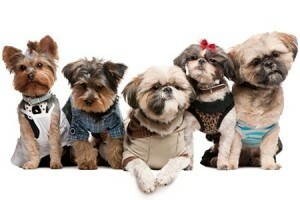 For Dog grooming, dog supplies, dog day care, Please contact us for details, we would love to hear from you!!! We are located in the heart of Federal Way, 3000 blocks of Pacific Hwy across the street from 76 Gas station. We personally have 10 dogs, and we really love dogs!!! We handle all kinds of dogs except for the aggressive dogs that bites and non-conforming kinds of pets for obvious reason. Dog grooming is done with utmost care and great love for our furry friends. Best hair cut by this shop…owner took care my baby so well, he never got stress out of hair cut. Two thumbs up and glad to find this place. This is truly the perfect groomer I found in Seattle area!!!! Although is pretty far to drive from Seattle, but trust me this is the best place to go for a dog grooming! My puppy got his best hair cut here, and the price is totally affordable and worth for it ! The best grooming experience ever!!! As I was going to Buffalo Wild Wings at the Commons, I happened to the GRAND OPENING sign at Puppy Village. Having a lot of dogs, I thought, “Oh a new groomer is in town” and went in to get my Maltese groomed. First of all, the groomer, Janet was very friendly. You could tell she loved doing her job by the smile on her face as well as her taking care of my dog very well. As I went into the shop, the place smelled very fresh. It wasn’t too big or too small of a store and had a very friendly environment for both me and my dog. In the end, I was highly satisfied! I highly recommend this place and will definitely take my dog here for a dog grooming again!